Information and communication technologies have changed the way in which citizens interact with Public Administrations. Digital literacy is key for the development of the Liquid Society, and Public Administrations must take the lead in promoting more efficient, universal, and user oriented public services. The migration to open source standards allows Public Administration to offer more democratic, universal, and efficient channels for establishing relationships with citizens. 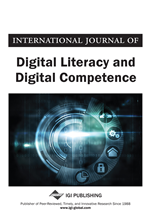 In this article, the authors present international experiences that show how certain Public Administrations have migrated to open source software to promote digital literacy in the contexts they are operating. The final results depend on contextual and organizational factors, including the need to change, the political support and the existence of available technological resources, the organizational climate, motivation levels of human resources, and the kind of leadership for the project or the organizational complexity. Change efforts have strategic and organizational impacts that the organization must evaluate beforehand. Open source migration (F/OSS) was first applied in the sixties. In the nineties it becomes a quite consolidated business alternative. Since then, free software implementation has been studied from both, a technical point of view (Raymond, 1999; Hunter, 2006; Rossi, 2006; Berry, 2008) as well as an economic emergent possibility in the market (Lerner y Tirole, 2002; Lerner y Tirole, 2005; Riehle, 2007). Free software migration means an efficient solution in terms of costs, specially for the public industry and in contexts demanding great technological resources as it is the case of education (Lerner & Tirole, 2002; Riehle, 2007; Lakhan y Jhunjhunwala, 2008). The implementation of free software tools promotes the innovation and the development in Public Administrations worldwide (David y Steinmueller, 1994; Shiff, 2002; Hippern y Krogh, 2003; Bitzer, 2005; Osterloh y Rota, 2007). Most experiences have just been started in the twenties and they are still in progress (Ahmed, 2005; UOC Report, 2009).